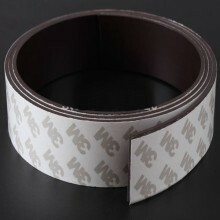 3M™ Magnet Tape Black, is a general purpose, 2mm in thick, 10mm wide adhesive backed flexible magnet tape that allows reclosable attachment of objects and surfaces to metallic surfaces and is coated with a high performance low surface energy acrylic adhesive which provides high bond strength to most surfaces including many low surface energy plastics such as polypropylene and powder coated paints. 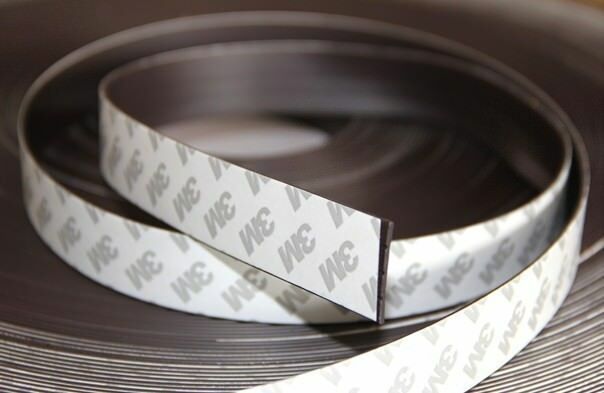 The flexible tape has a range of applications far beyond those associated with traditional, stiff, rubber based magnet tape. Industrial uses include: mounting signage, building displays, securing metal doors, and attaching tools to machinery. Manufacturing applications include: attachments in containers, baggage, garments, door seals, and electronics. Arts and crafts and household uses include: hanging artwork, and window coverings, temporary attachment of seasonal decorations, and labeling. The acrylic adhesive also provides excellent adhesion to surfaces contaminated lightly with oil typically used with machinery parts. 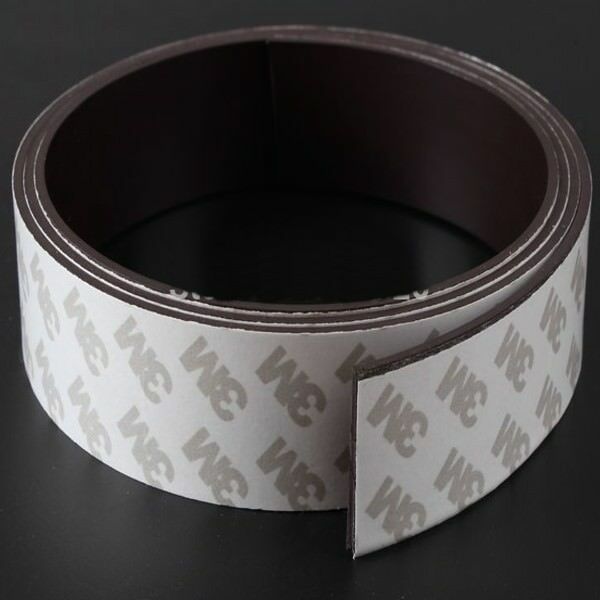 Click the button below to add the 3M™ Adhesive Flexible Magnet Tape (10mm) to your wish list.